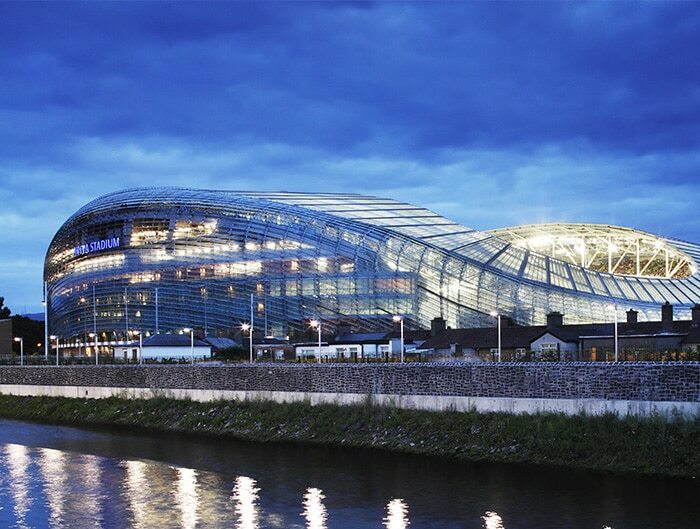 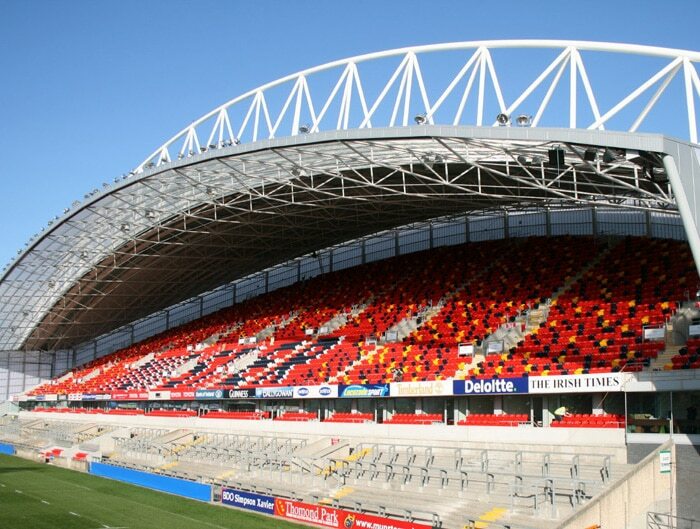 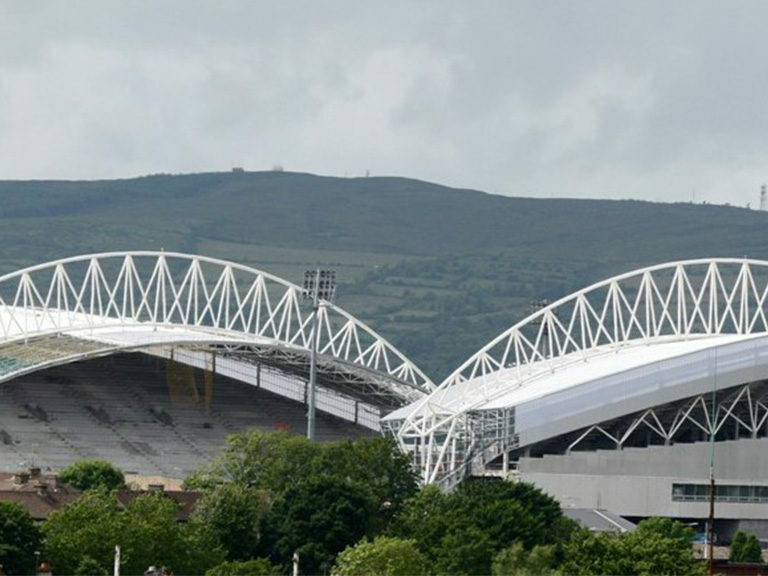 We were appointed to design, manufacture and install the precast structural frame and terracing elements for the Thomond Park rugby grounds redevelopment. 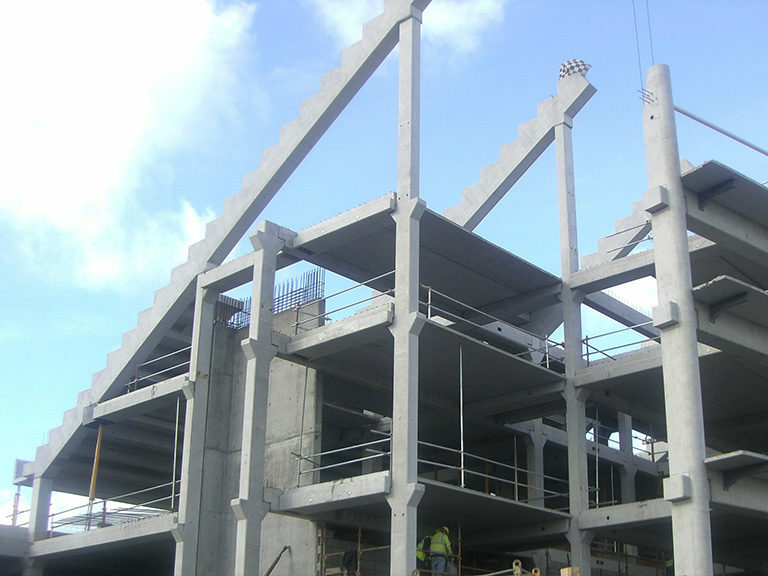 Our in-house design team in conjunction with Exstrado Consulting Engineers proposed a precast alternative to the original steel frame design and the client accepted the proposal as the most economical advantageous tender. 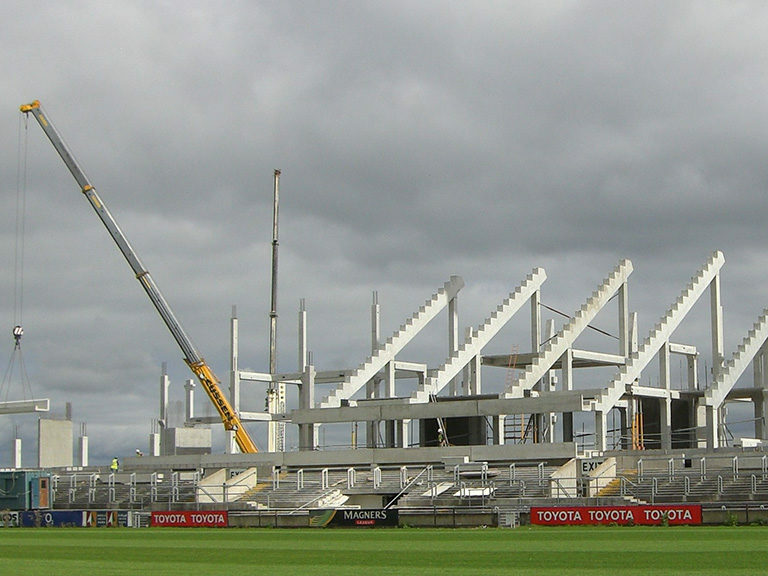 An important feature of the construction process was the clients requirement to maintain the ground as a working stadium. 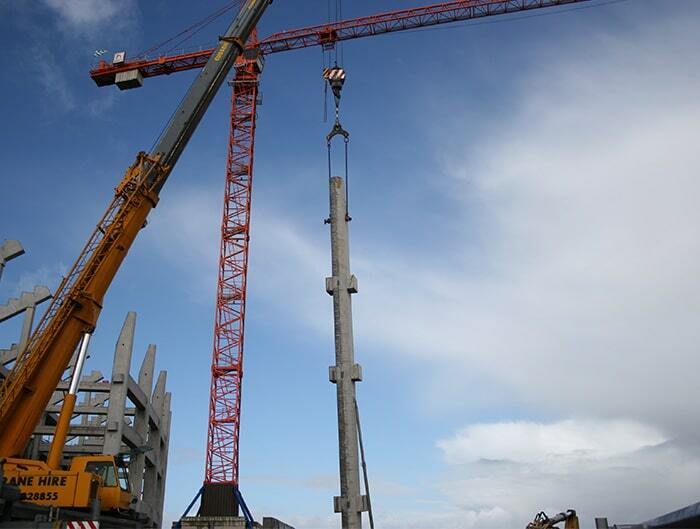 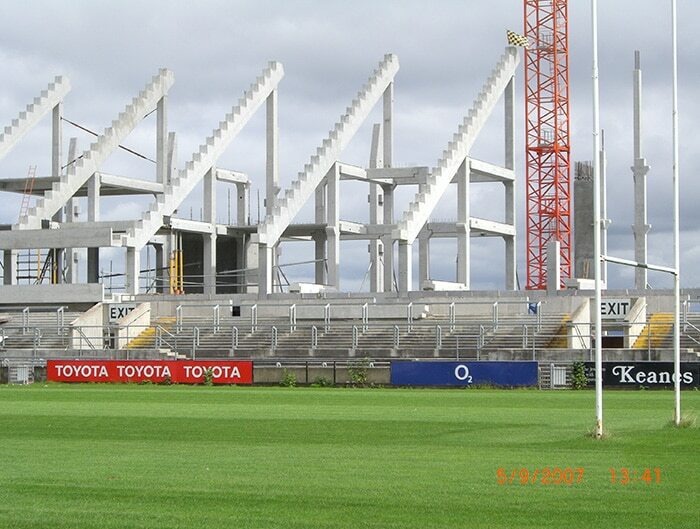 During the construction phase 3 Heineken Cup Matches were staged at Thomond Park without disruption to the client or the construction programme. 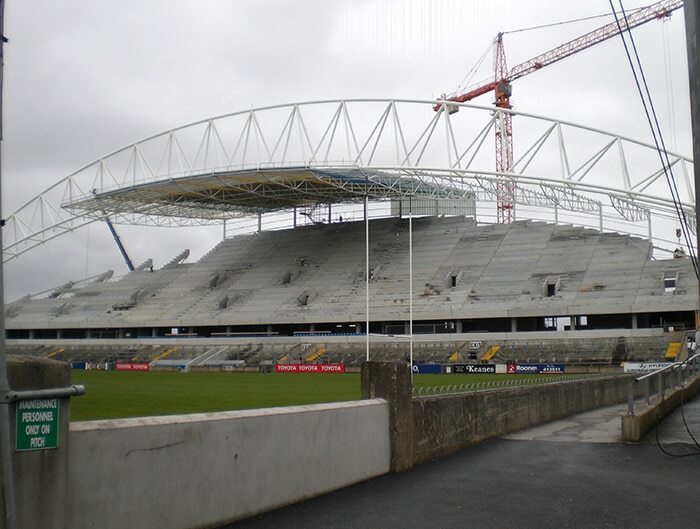 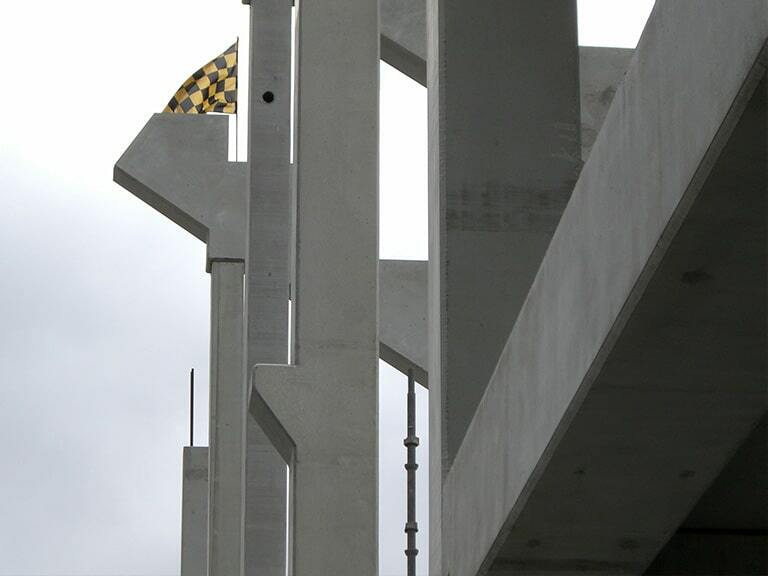 Along with the main grandstands, we also supplied a precast alternative to the west standing terrace – we finished our works on site on schedule and in time for the Heineken European Cup Games.